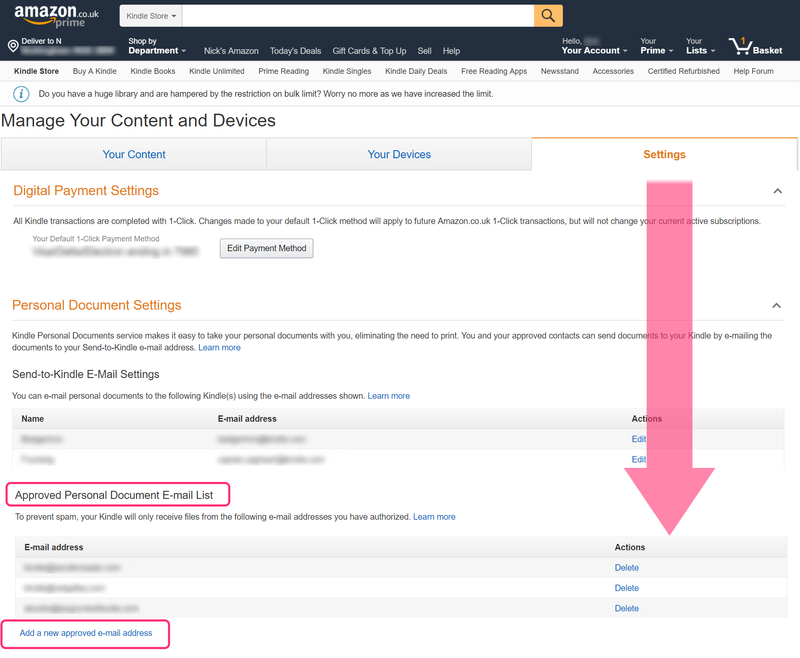 2) You should see all your devices listed here – either Kindles, or phones/tablets/computers that have the Kindle app installed. Send us the email address linked to whichever device you want your ebooks on (or all your devices if you like! ), to ebooks@angryrobotbooks.com. Boom. Sorted. We’ll send ebooks to your Kindle on the day of release each month, as well as adding them to your My Account page.